We are refueling our DeLorean and heading to the upcoming Pink19 IT Service Management Exhibition and Conference (February 17-20, 2019) in Las Vegas! In its 23rd year, Pink19 goes Back to the Future, tying Spielberg’s 1980s sci-fi classic to the decade that led to the creation of the first ITSM and ITIL best practices framework. Little did those 80’s tech wizards know that almost 30 years later we would have chatbots, AI, intelligent knowledge and, any day now, the release of ITIL 4. Learn more about why the leaders of Pink Elephant chose to tag along on Marty and Doc’s adventure here. Returning for the 10th year as a Pink19 sponsor, we’re looking forward to the powerful insights and learning opportunities from top IT industry experts. This year Pink19 offers over 120+ sessions and 12 tracks covering topics including: ITSM, ITIL®, Lean IT, Agile, Scrum, DevOps, COBIT®, and more. We’ll be present at Booth #302. Read on for highlights of what you can expect from EasyVista at Pink19! Sunday, February 17 | 5:00 p.m. – 7:00 p.m.
Monday, February 18 | 11:30 a.m. – 2:00 p.m. & 5:00 p.m. – 7:30 p.m.
Tuesday, February 19 | 11:30 a.m. – 2:00 p.m.
Our solution experts are eager and looking forward to exhibiting the newest rollout of our products! Understand how you can support a strong digital strategy with an integrated IT service management solution, like EV Service Manager, that can help your organization accelerate service and increase productivity. 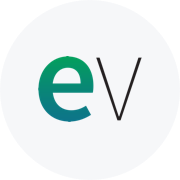 Also learn how you can lower 30% of level 1 issues and requests and automate recurring tasks for your IT service desk by empowering customers and employees to solve their own issues with our intelligent knowledge management platform, EV Self Help. Don't miss our Pink19 speaking sessions with EasyVista industry experts to better understand the importance of some of these innovative tools and technologies in your digital transformation strategy. Self-help technologies allow IT organizations to gain a unique understanding of how to improve their current knowledge management model, and what they can do to turn it around quickly. Creating and maintaining traditional knowledge has always been a significant time investment and is one of the primary reasons knowledge fails in most organizations. However, the ability to manage the effect of new and modified IT business processes will ultimately lead to enhanced user satisfaction and address the people side of change. In this session, Evan will discuss why the current knowledge management model is failing and how to deliver a self-service approach that will actually be used by your employees and customers. Today, digital transformation is at the forefront of every organization’s future, but an often overlooked—but critical—component of this evolution is how to optimize employee productivity through effective and engaging access to self-service. Delivering an exceptional employee self-service experience, however, can be easier said than done. During this session, John will explore how AI, Chatbots and Intelligent Knowledge can deliver experiences that employees will appreciate across the enterprise. 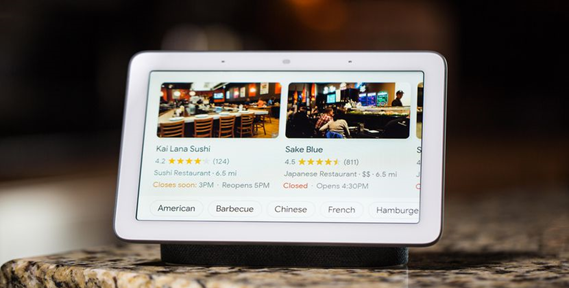 With features like a 7-inch touchscreen and built-in voice match, users can do almost everything with the Google Home Hub, including setting an alarm, turning their lights on, or finding how to cook something on YouTube. The Google Assistant can even answer questions about sports, the weather, and do language translations and standard unit conversions. Music, video, home automation, and high voice performance­—what else could you ask for? Stop by Booth #302 to enter your name into our raffle for your chance to win this amazing giveaway! We hope you enjoy these upcoming sessions and we look forward to seeing you at the show! Sara Sprenger is a Marketing Associate at EasyVista focusing on event planning and promotion for all global, and customer events. She is also involved in all things marketing including social media, content, and communications. Sara graduated from Northern Arizona University with a Bachelor of Science in Strategic Communication, concentrating in public relations and advertising.